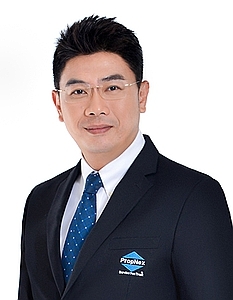 It is our immense pleasure to recommend Mr Jarrey Ng of Propnex (CEA No.R059032D) as a TOP real estate agent for any individual or family searching for the ideal home for their unique situation. We were comfortable in our HDB maisonette in Bishan until my husband and I have grown older to maintain our tiptop cleanliness of the house and we are getting tired of climbing the stairs. Our 2 grownup boys, who want to look for different lifestyle. We needed a smaller home that call ‘home’ with a relaxed lifestyle and fast, due to the year-on-year HDB selling price depreciation. We like using social media in our daily life, out of curiosity, we went to search for any near TOP condominium development which was on the market then. In the past, looking for condominiums, you have to go around looking for one either through papers or on internet. Now it’s just a click away via the social media that you can register for a view. Yes, at least we know that the agent is tech savvy. The following day, we received a call from a stranger saying that he could meet us at the showroom for further discussion. In our thought, he could be just like any other CEA sales agents who are just pure salesman who in the end would try to sell us something which may not be what we are looking for. Jarrey and the Moussault met, at the showroom. After going one round, he sensed that it is not what we were looking for and to our surprise, he didn’t push us into buying the unit, like what other agents would push for. Instead, he suggested meeting us again and find out our housing needs and budgetary limitation. Before we left for the day, we gave him a huge task: “Sell our current HDB first, and then we talk more on the condominium”. With the unique HDB policy, the unit where we were staying could only be sold to the minority race, and that was the greatest challenge at a place like Bishan. The previous owner who sold us the unit, took them 2 years to find an owner of minority race buyer like us. Jarrey confidently replied:” I will sell your HDB within 3 months, I will make a miracle!”. Jarrey is highly talented technologically and posted in various relevant websites and real estate databases to quickly advertise our unit using his superb photography and videography skill with his special equipment to record and to exhibit our house to the potential buyers in the market. Within 2 months, Jarrey received a cheque from a viewer who was offering to buy our unit. We were caught by surprise, when he took up the challenge 2 months ago, he was saying he would need 3 months, and in the end, he took only 2 months, yes, a miracle indeed, besides, he sold our unit for a good price especially in our challenging selling condition. He has a vast network not only in the area of real estate but also in his circle of friends. Our next challenge was to look for a new place. Jarrey suggested few places to view according to our needs. With few meetings, viewings and conversations with him, he managed to understand our family needs, we came to a development who actually WOW the entire family. A place where we would call our dream home. Next step of challenge, to look for a broker, and we were again, surprised by him, he knows broker and in fact he could even do a pre-calculation on our financial situation and spoke to brokers or even Bank’s RMs to discuss on our housing loan and mortgage matters, Jarrey had many years of working experience in Financial Institutions and has vast experience on financial matters. He gave us confidence in committing our dream unit without second thought. Story doesn't end here; his professionalism didn’t fail us to get a nice rented place while waiting for the completion of our new place. Jarrey has another role in this entire process, he is a Lobang King. He guided us to put up posts in selling our furniture and unwanted items in Caroussell, a platform that we didn’t think that it would work. Getting us a reliable delivery driver to transport our things to our Caroussell buyers. And even introduced us to lawyers who are reliable. Months passed by, Jarrey becomes a friend, more than an acquaintance for businesses, he is always there when we needed help for advises on our housing, moving, finances, documents, social media, Lobang King, etc. He is always prompt in responding to our calls and messages as if we are his only clients but we know we are not. He would even pop by at our house in few late evenings just to resolve things on housing administrative needs with us. His patience and professionalism have delighted us. Throughout this home Selling, Buying and Renting processes, he gave us a lot of confidence at all stages, we have never felt neglected at all. Jarrey is a very successful person however not a single arrogance that we can sense from him, he stays always as a humble, attentive and friendly person who can engage people of all ages (us, our teenage children and our parents). Jarrey has received a Top Achievers Award, New Achievers Award, Top 50 Producers Award Top Project Salesperson, Top Individual Producer Award, just to list a few, at Propnex, and he deserves them all and we are sure of more to come for him. If we would recommend a Real Estate salesperson, we would only recommend Jarrey Ng and nobody else. He can do wonders to all Real Estate needs. He is a very dedicated salesperson, someone who sells from the heart. He is the best in the business in our opinion and if we ever need to move again he will be our first choice in real estate agents.